National Institute of Fashion Technology (NIFT) is a group of fashion colleges in India. It was established in 1986 under the aegis of the Ministry of Textiles, Government of India  and is an institution of design, management and technology for the international fashion business. Eligibility for Bachelor Programmes - Design - B.Des. Candidates can apply online at www. 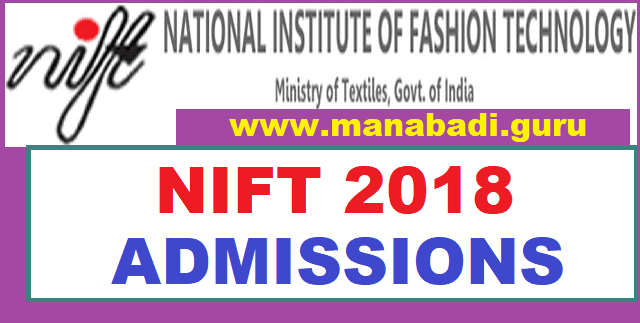 nift.ac.in or https://admission.net/nift2018. or through Bank Demand Draft issued in favour of “NIFT HO” payable at New Delhi. • Non-Refundable Fee for SC/ ST/ PWD Category : Rs.750/- through payment gateway or Demand Draft. Candidates are advised to apply on time. are to be filled in the online application form. • Name, Date, Amount & Signature of the issuing authority on the Demand Draft.